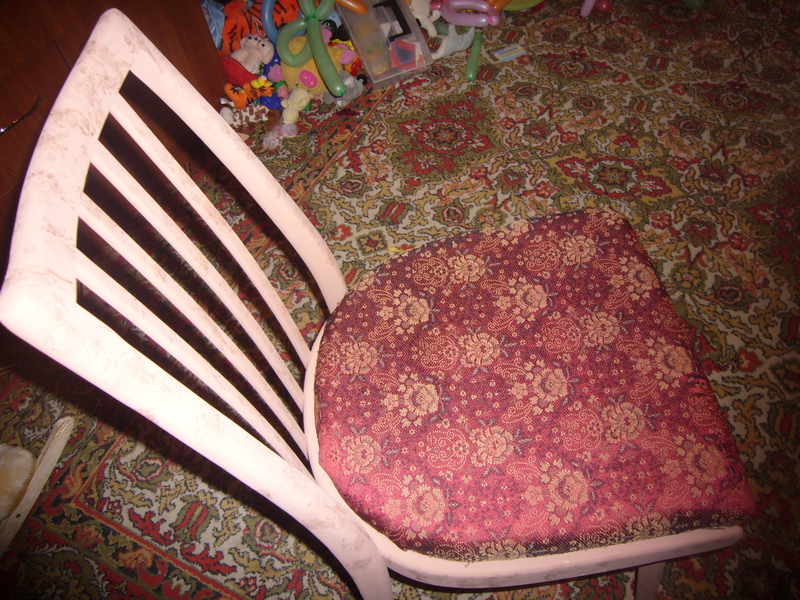 Here is another one of my decorating ideas – fixing old chair. 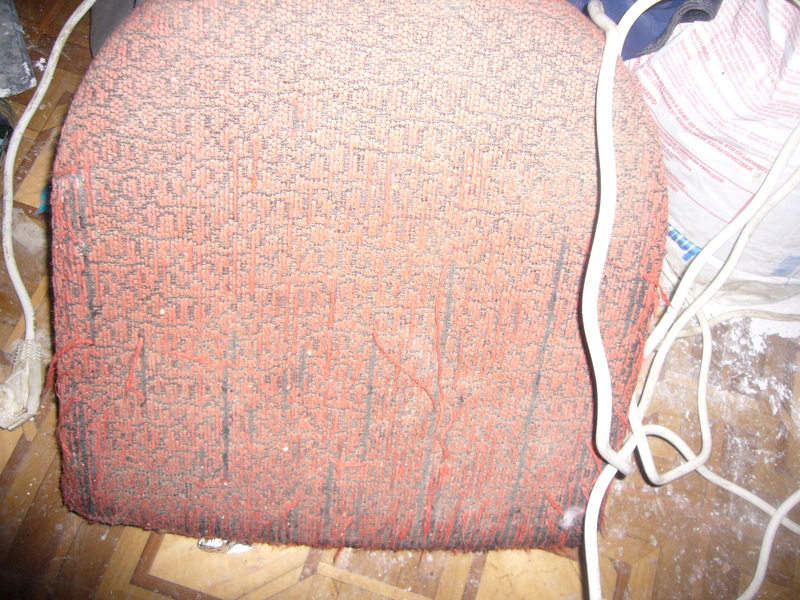 I had this very old and ugly chair. The upholstery on it was torn and dirty. The wooden part was scratched. So, I decided to fix it and decorate, as we have guests coming over and do not have enough chair for them to sit on. The best thing about this decorating idea on fixing a chair is that it cost me about $1 to get it done. I had the old chair. I got some paint and used up the amount for about $0,5 and I went shopping to a second hand store and got this old Oriental dress. 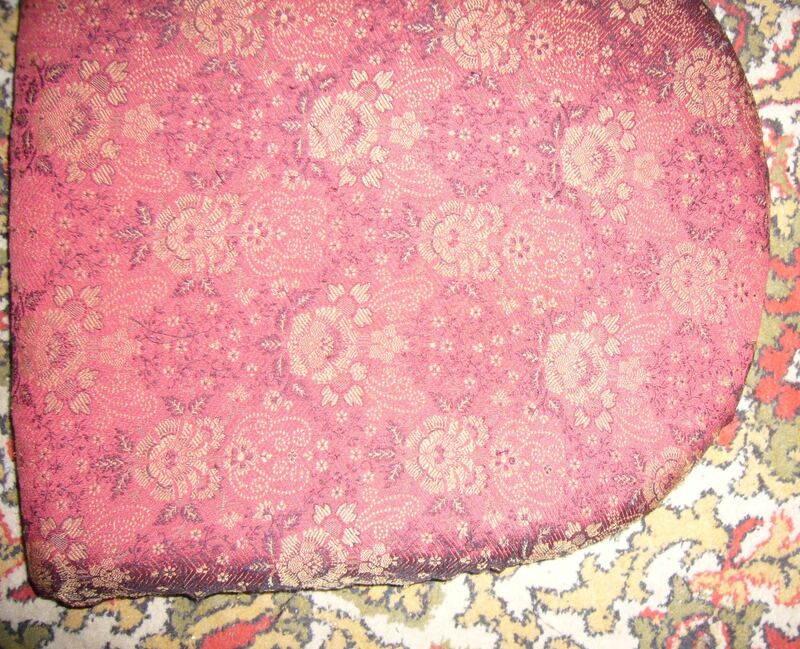 I used it as upholstery piece for the chair. It cost me around $0,1. I did not reupholster it right from the first try, as I have never done this before. But, the second try was pretty successful. I used my husband’s construction stapler to reupholster the chair. And, I did not take off the old upholstery. Just put the new one over it. 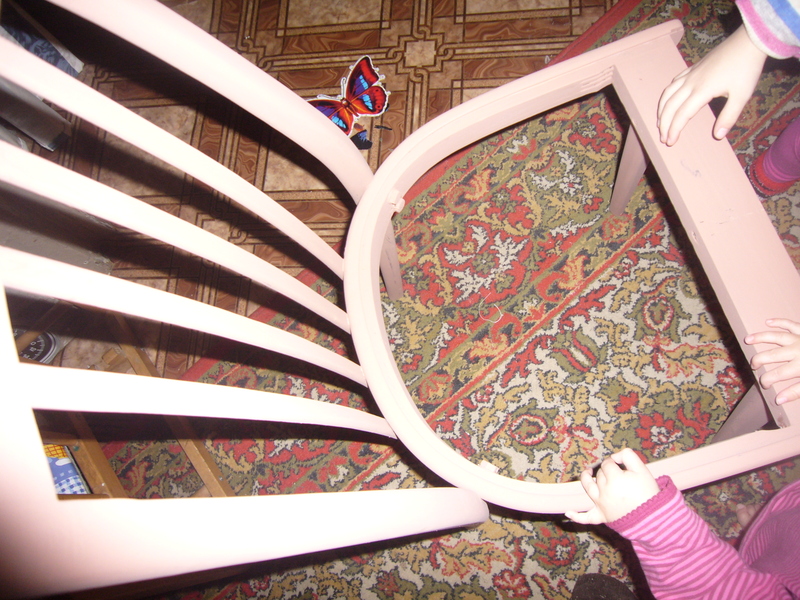 I forgot to take a picture of this chair before I fixed it, though. You see my helpers’ hands here, too. I had a jar of old golden paint at home. I took a napkin, crumbled it and dipped it into the gold. Then I sort of patted the chair with it, leaving indistinct gold marks on the wood. You can’t see it well on the picture, though. Sorry. That’s my first try at putting to life my decorating ideas of furniture. 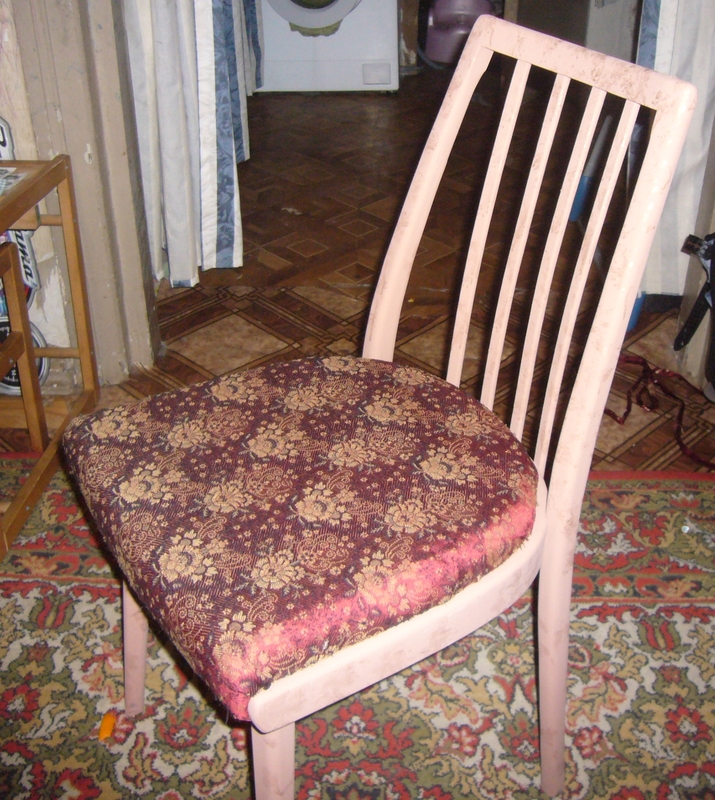 This entry was posted in Uncategorized and tagged chair, chair design, crafts, decor, decor ideas, decorating ideas, design, design ideas, fixing chair, fixing old chair, furniture, furniture decor, furniture design, furniture restoration, old furniture, reupholster, reupholster chair, upholstery. Bookmark the permalink.